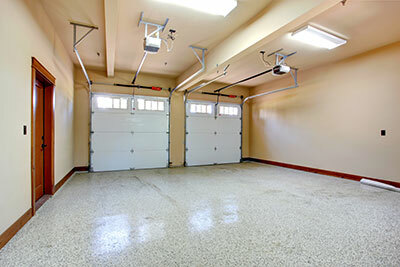 We at Garage Door Repair Shoreline are always proud to be regarded as the best garage door contractors in the city. Over the years, we have worked hard to establish our name as one of the most reliable providers of services for garage doors. That’s why you can be assured that every job we do is done with utmost care and concern for the satisfaction of our customers. We maintain a consistent high quality of service in everything we do. Also, the replacement parts we use are guaranteed to be of top quality. We never use or sell counterfeits or substandard spare parts just to cut on costs. Expect nothing but high quality standards when you choose us to deal with your repair needs. Our company has the expertise to properly address a wide range of door problems. If you have defects in your overhead door springs or your old worn out springs, we have the solutions you need. If you want to get your glass panel doors replaced, we can also provide the snug fit replacement for you. Likewise, more complicated problems like malfunctioning automatic door systems and remote control configurations are also within our field of expertise. We can resolve problems in manual and automatic doors efficiently. You can also refer to us for problems with your garage door openers. We have the tools and expertise to address defects and issues in Wayne Dalton, Chamberlain, Genie, Liftmaster, and various other brands. Additionally, we can provide troubleshooting services for all door opener brands and types—be it a chain-driven, screw-driven, direct-drive unit, or a jackshaft type of opener. Contact us for an estimate of the cost it would take for your garage door troubleshooting, replacement, repair, adjustment, or modification. You can also leave us a message on our inbox or drop us a line for a quicker response.